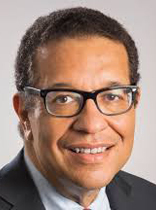 Prior to joining NCLEJ in January of 2019, Dennis served as the director of the Racial Justice Program of the ACLU, leading its efforts in combating discrimination and addressing a range of issues which have a disproportionate negative impact upon communities of color, including the “School-to-Prison” Pipeline, racial bias in the criminal justice system, housing discrimination and related economic justice issues and digital discrimination. Prior to joining the ACLU, he served as the Chief of the Civil Rights Bureau in the office of the New York Attorney General and, for fourteen years, worked on and directed the educational work of the NAACP Legal Defense and Educational Fund. Dennis began his legal career as a staff attorney in the Criminal Defense Division of the New York Legal Aid Society. He has co-authored or contributed chapters to books and articles dealing with civil rights and has lectured extensively on the subject across the country. He serves as an adjunct professor at New York Law School where he teaches on law and social change. Dennis is a graduate of the Harvard Law School and Middlebury College.